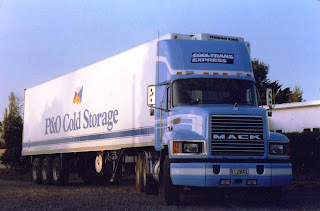 The following photos I shot mostly in the 90s. 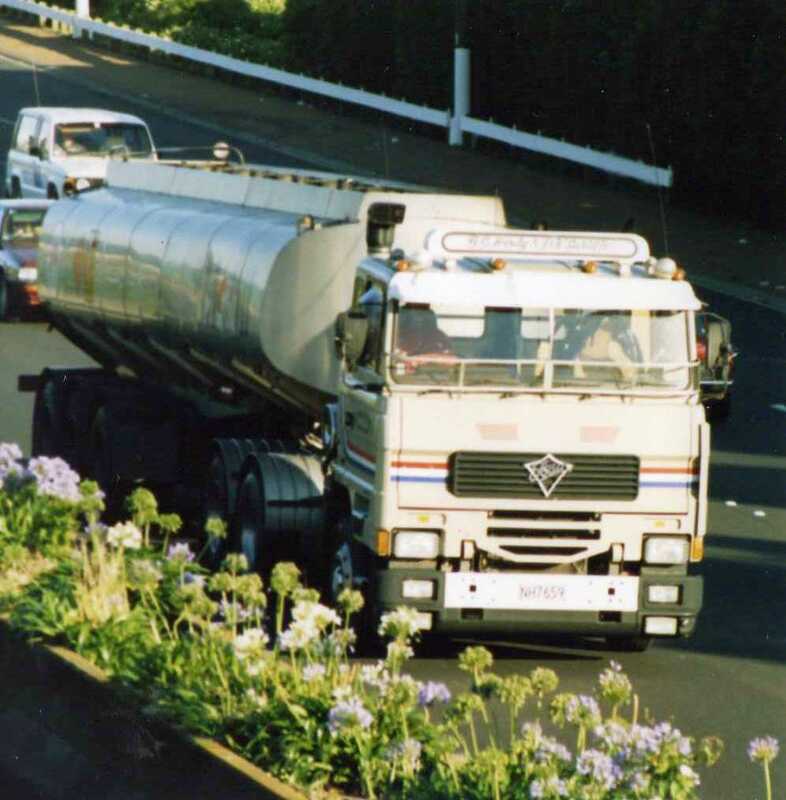 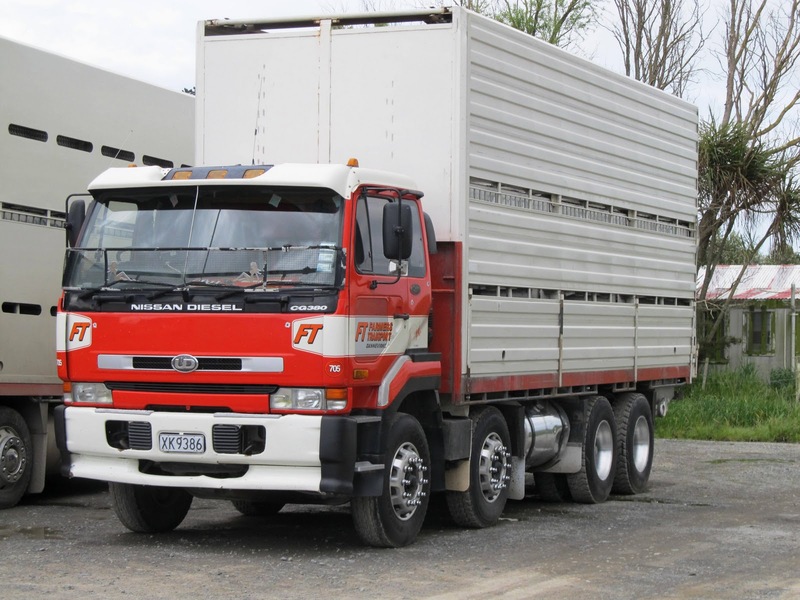 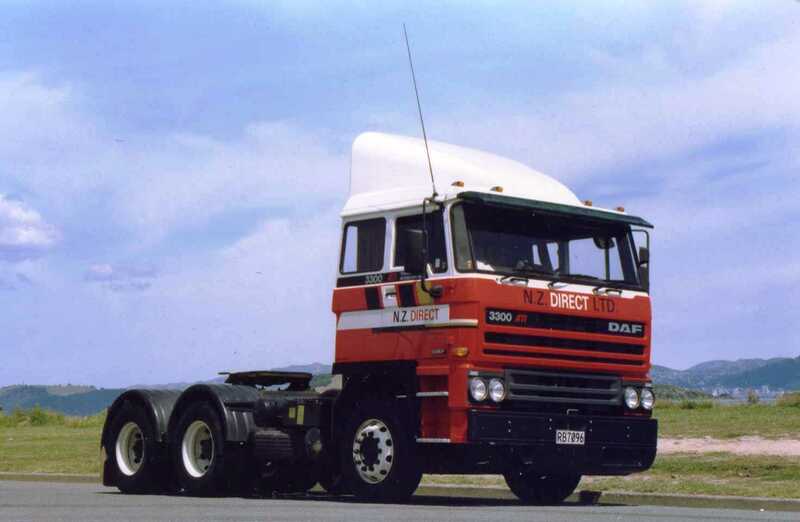 1990 DAF 3300 ATi operated by NZ Direct. 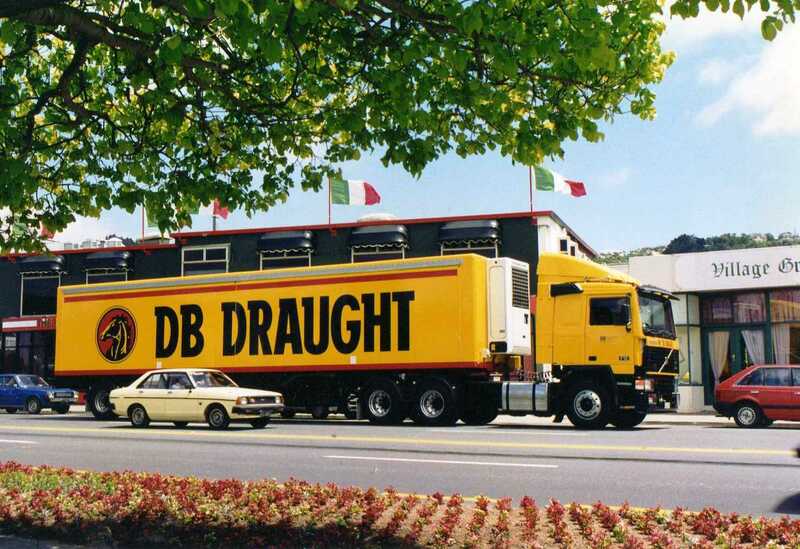 This Dominion Breweries Volvo F12 is unloading a load of its precious brew at a Lower Hutt night club. 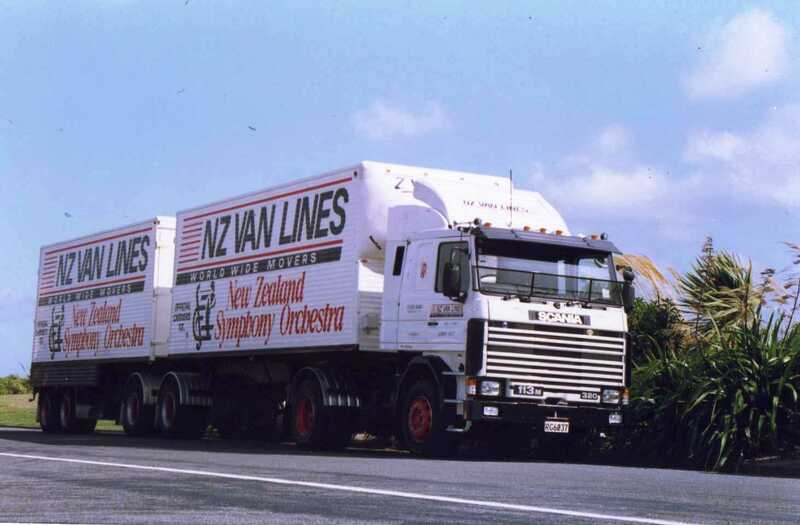 Note the doors on the front of the rear trailer on this NZ Van Lines B-train. 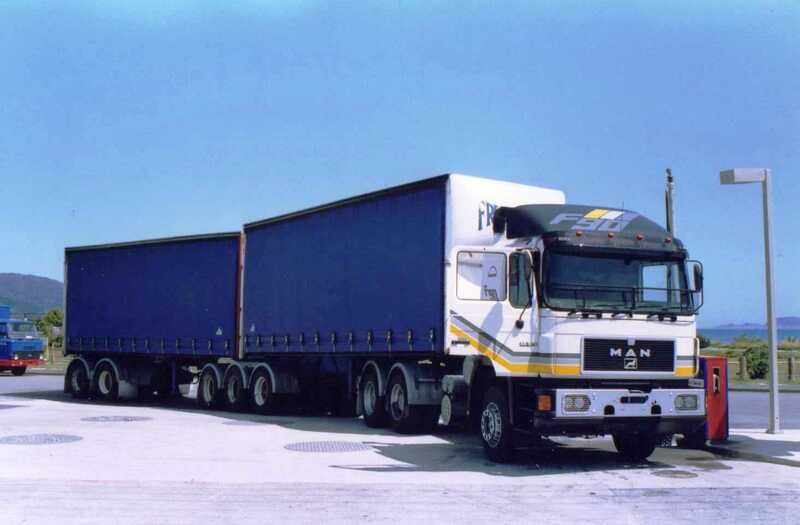 This is to allow loading and unloading of the front trailer right through the rear trailer without un-coupling. 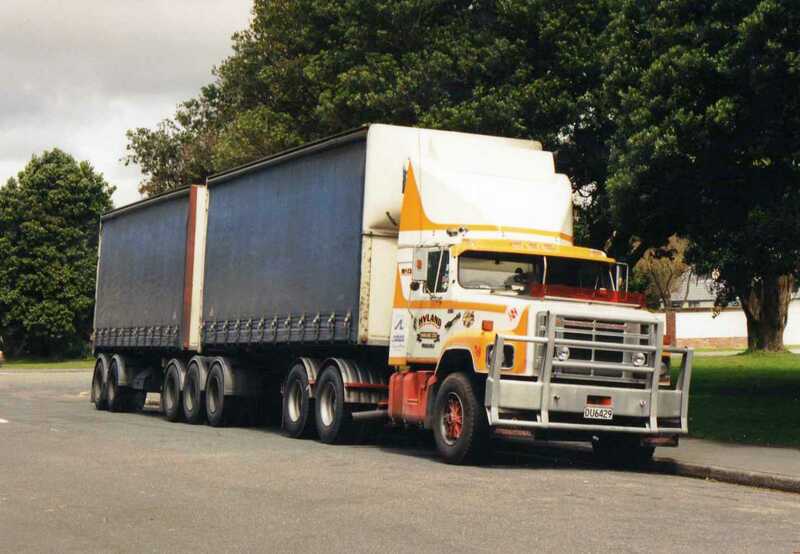 Pulling power is provided by Colin Isaac's 1991 Scania R113M. 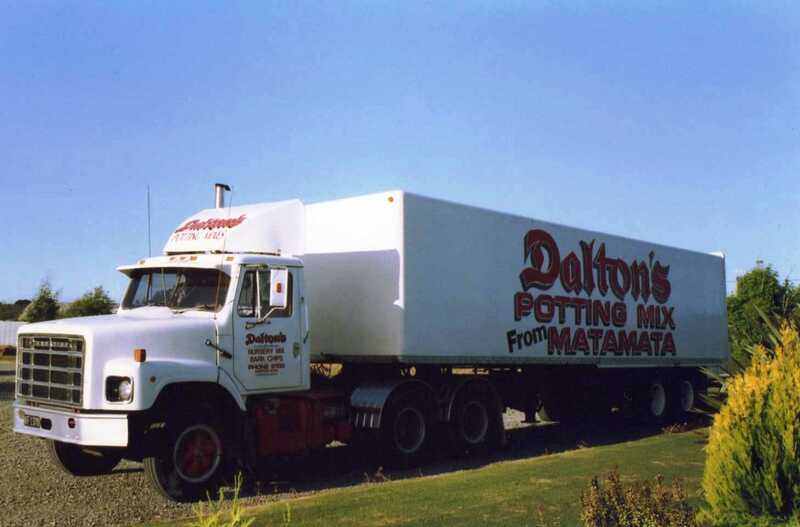 Dalton's delivered their potting mix with this 1982 International SF2670 for many years. 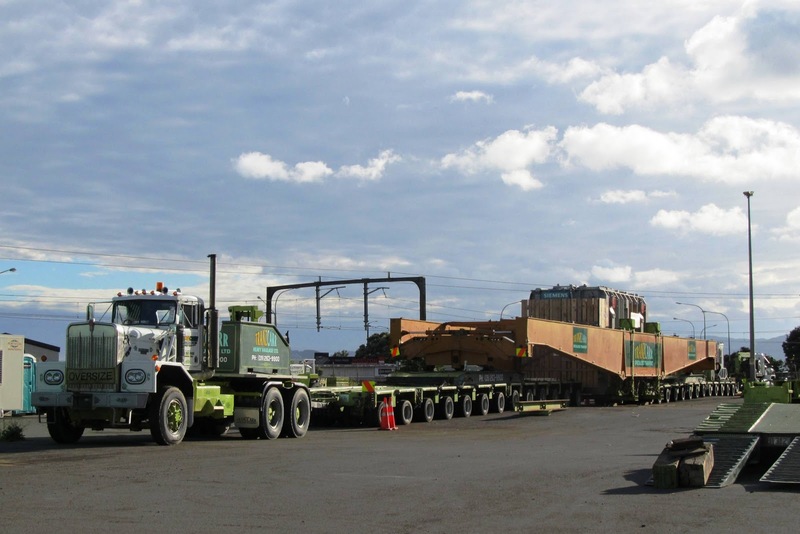 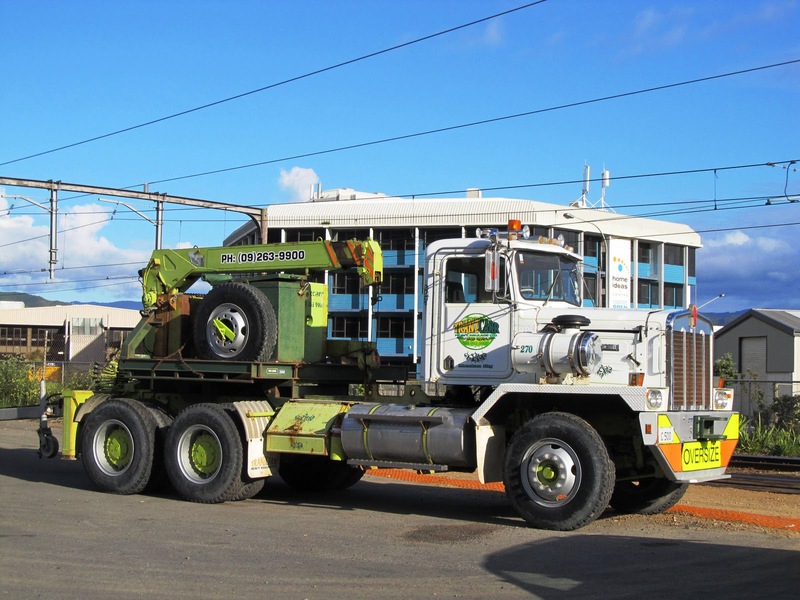 More recently deliveries have been done with a Sterling rigid towing a full trailer. 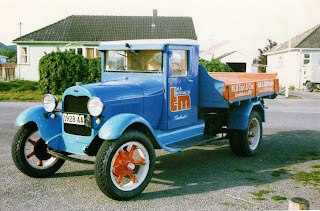 Cooltrans had a number of refrigerated units operating for a while in the 90s, but alas the company has disappeared. 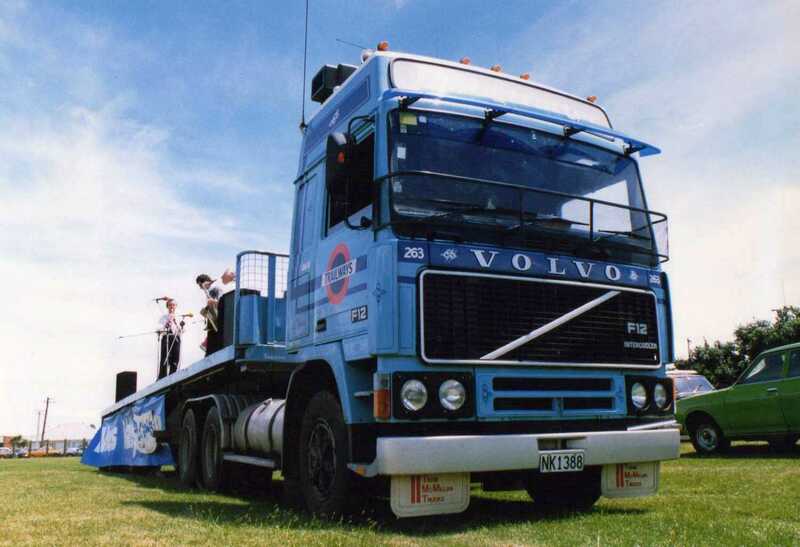 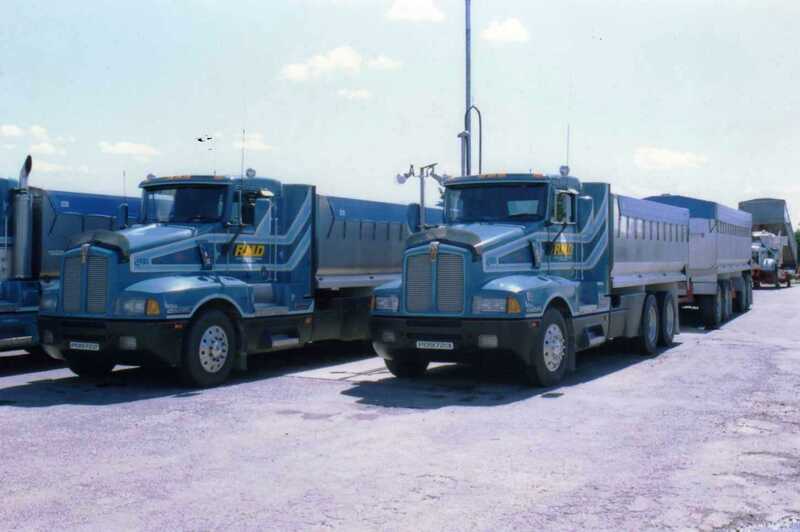 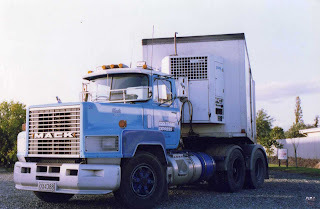 this is their 1990 Mack RB688RST. 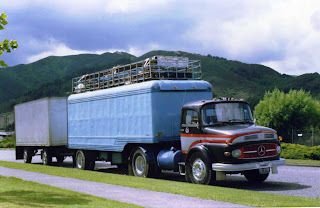 A 1973 Mercedes Benz 1418/32 still in active service in the 90s moving fairground equipment. 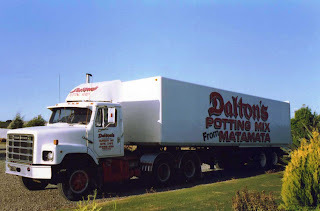 The signage on this MAN makes it fairly obvious what it is. 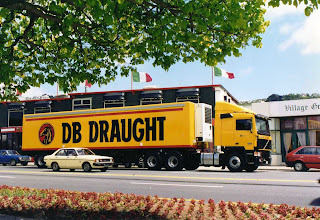 With those graphics and the lack of a company name on the door, I suspect it is a MAN demonstrator. 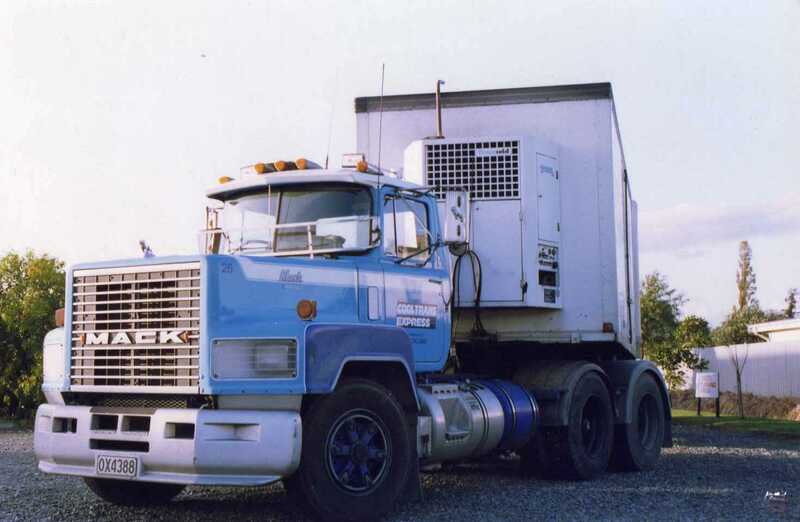 Another cooltrans rig. 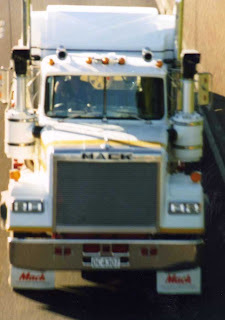 This time a 1992 Mack CHR689RST. 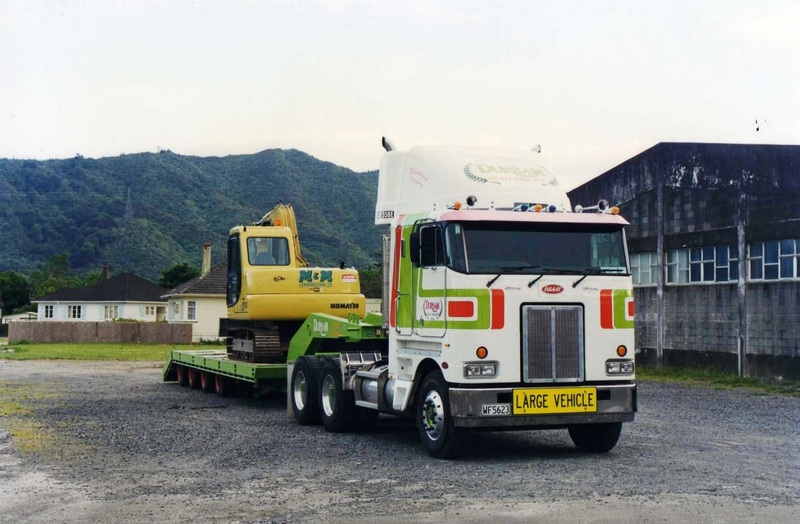 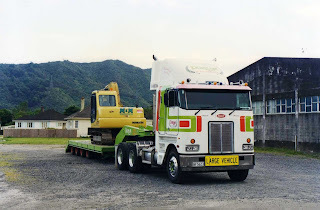 Durham's 1997 Peterbilt 362 unloads a digger at the site of a new building in Upper Hutt. 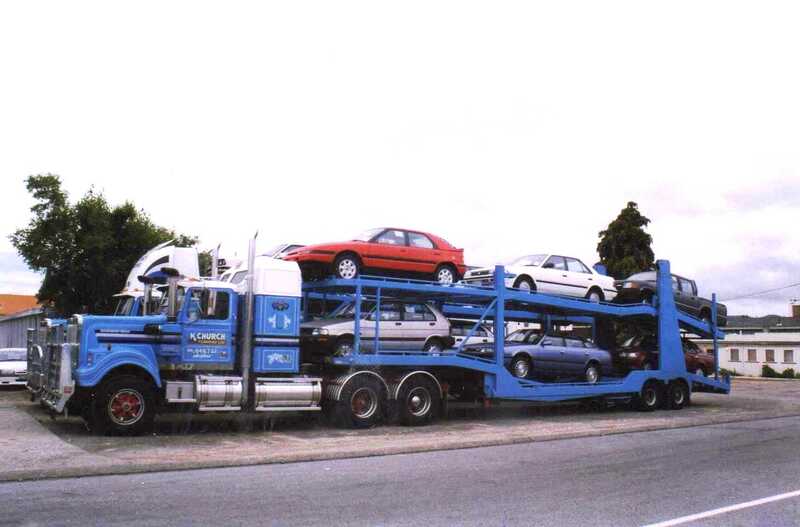 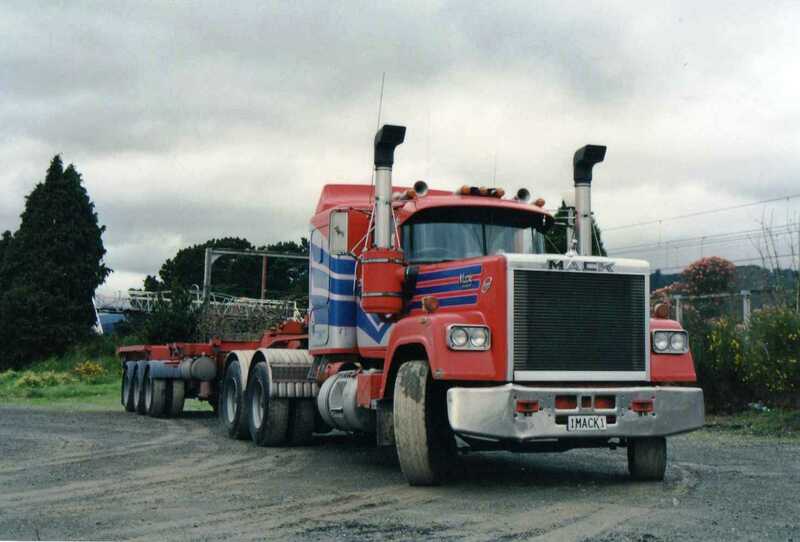 A Rudd International S line with a well sheeted, but unusually shaped load at Copthorne Solway park in Masterton. 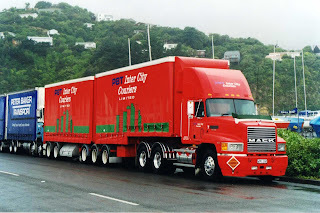 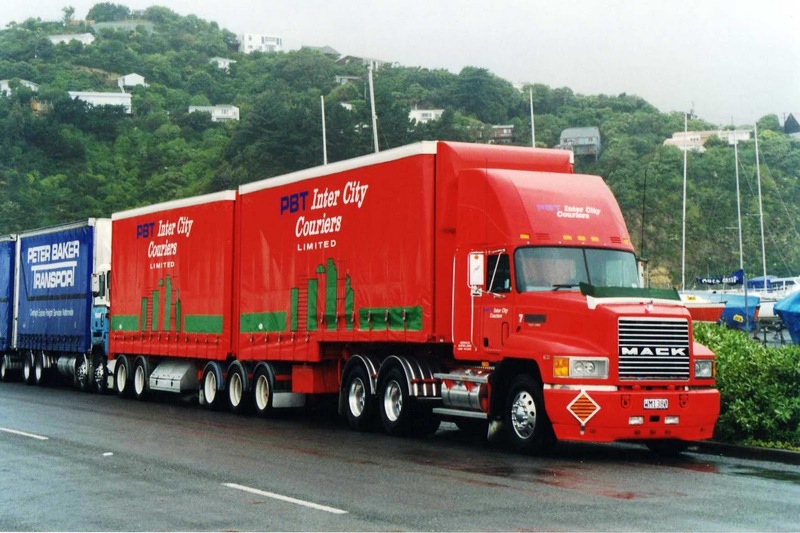 PBT Inter City Couriers (a division of Peter Baker Transport) operated this Mack CH689 from the time it hit the road in 1997. 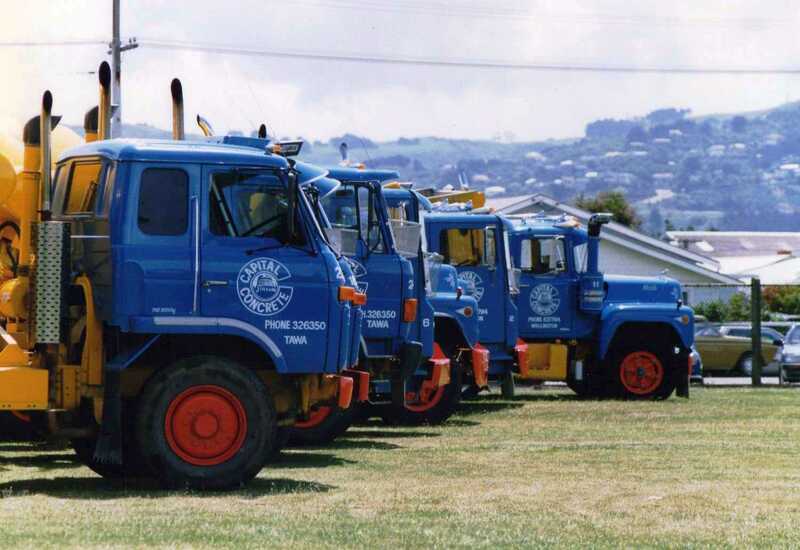 Seen here outside Peter Baker's seaview depot. 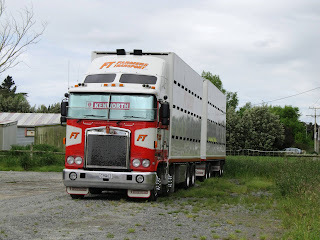 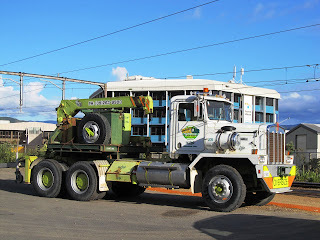 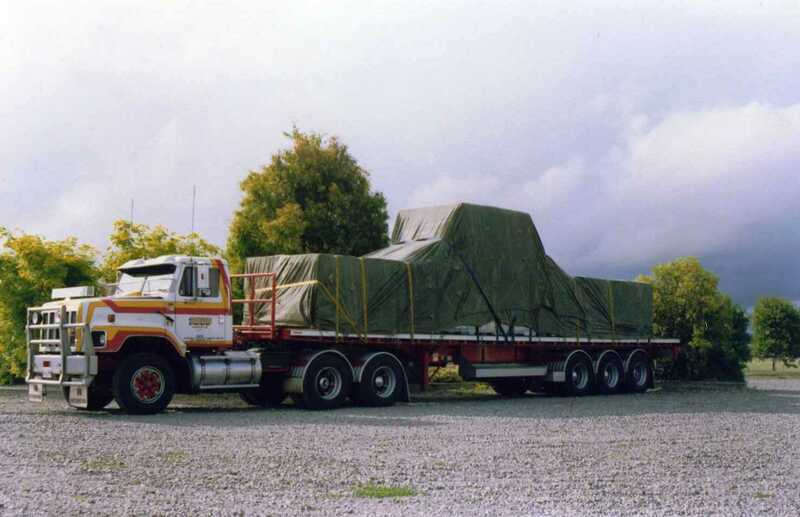 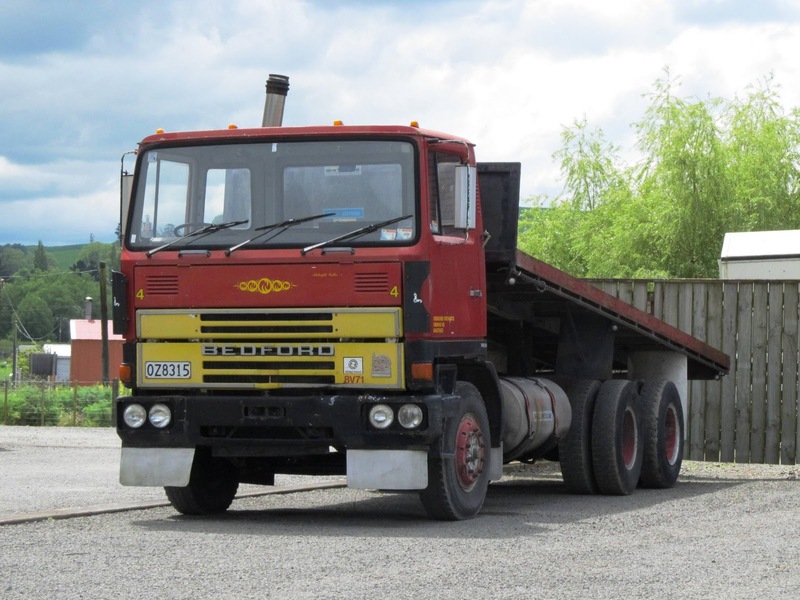 A 1983 Mack RA722RS Super-Liner with sleeper pod and coupled to a skeletal semi-trailer, parked near Trentham Railway Station in Upper Hutt. 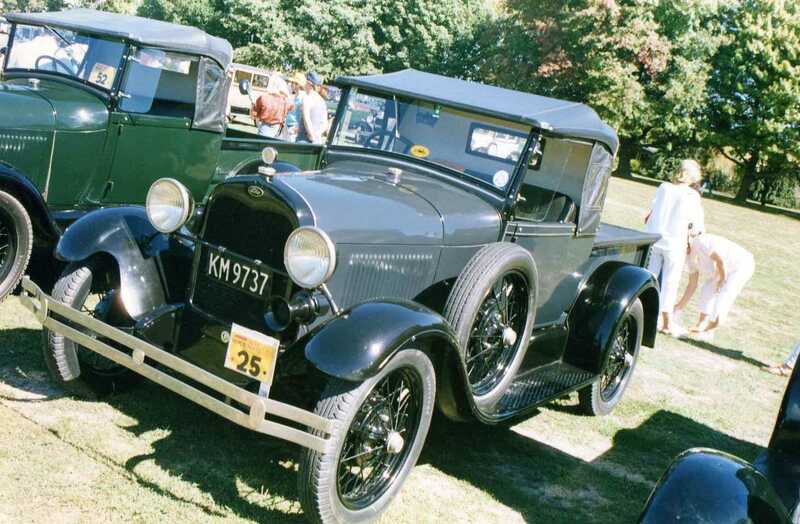 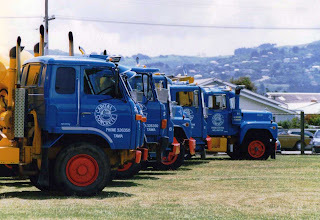 I had an enquiry from Sean asking if I had any pictures of the RFL Fusos. I posted one on May 11, 2011 and also on September 27, 2011. The only other photo I appear to have is this one. 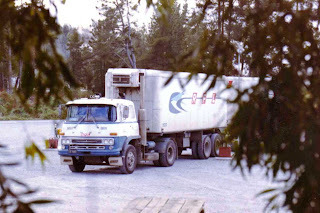 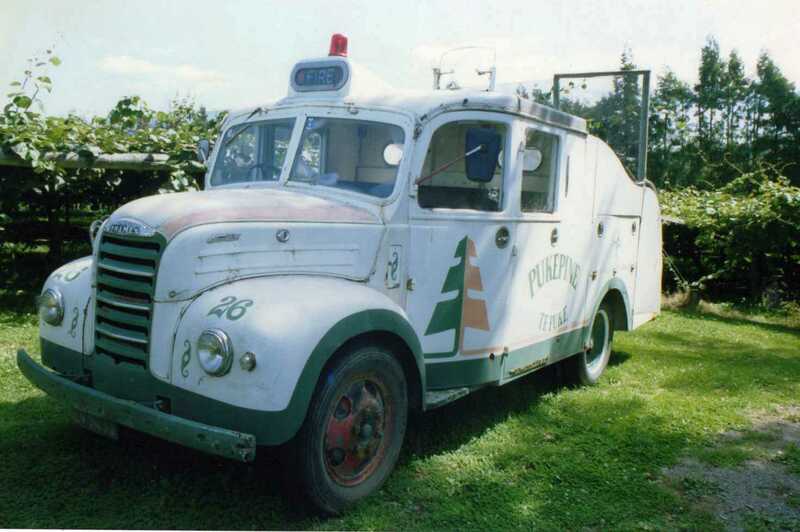 This is a 1973 Fuso FU80T 8122RA of RFL that I snapped at the service station at Wairakei some time in the 80s. I hope this give Sean his RFL Fuso "fix". Last Sunday was a nice warm day so I headed out on the BM for my first decent ride of the Spring/Summer season. 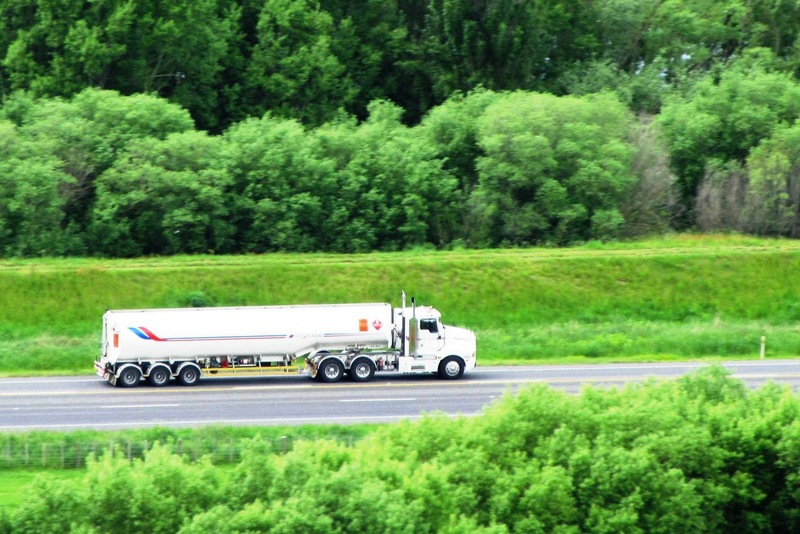 I consider a "decent" ride to be at least one tank full of fuel. 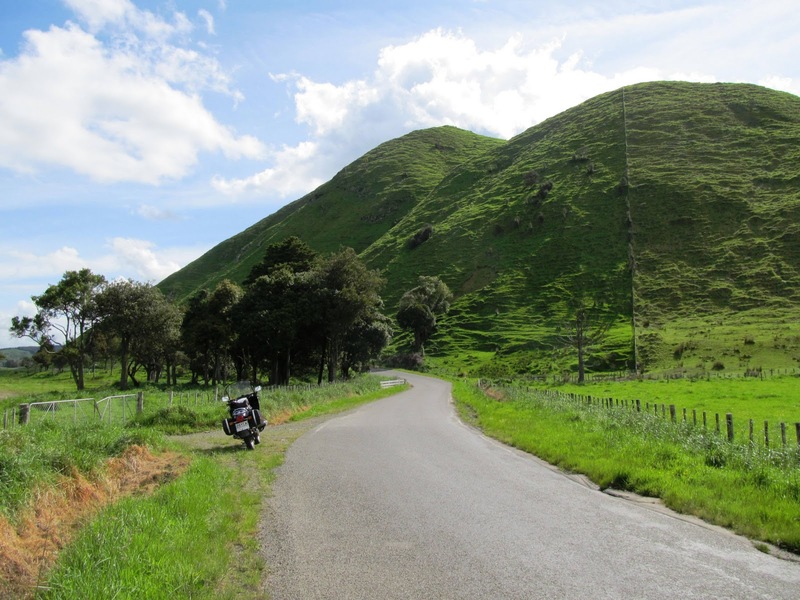 That's somewhere around 300-350kms.I headed north from Masterton, sticking mainly to the main roads, to Waipukarau. Manawatu Kia and Nissan at Pahiatua have this early Datsun Bluebird on their lot. 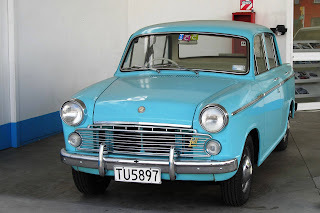 I couldn't get any closer than this, but it appeared to be in superb condition. 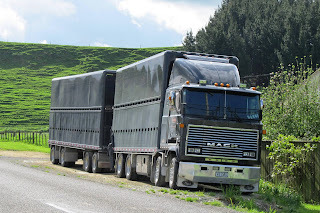 My younger daughter would probably say,"It's so cute". 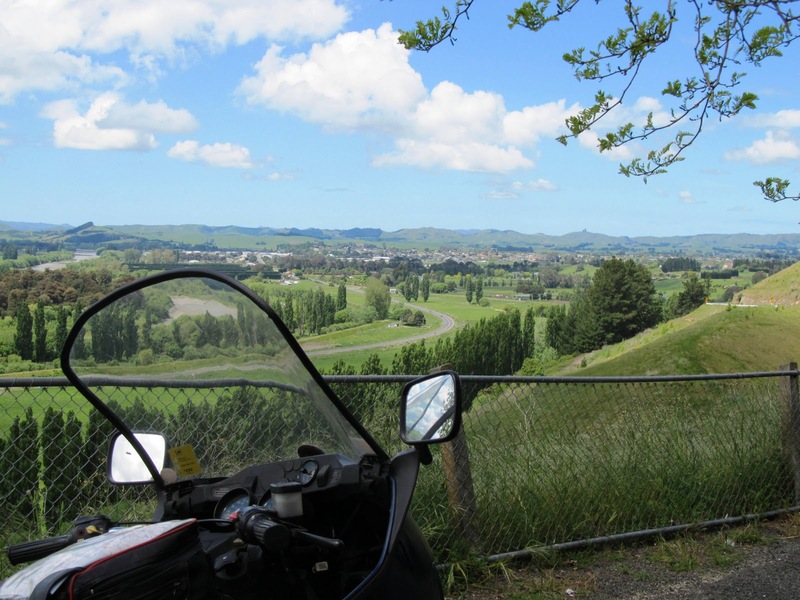 Just before Waipukurau I diverted on to the old main road over Pukeroa Hill and stopped at the top to eat my lunch which I had prepared before I left home. 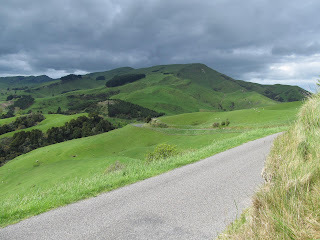 The present main road can be seen below with Waipukurau in the distance. From Pukeroa Hill I needed to use full zoom to get this shot of a KW tanker on the main road. 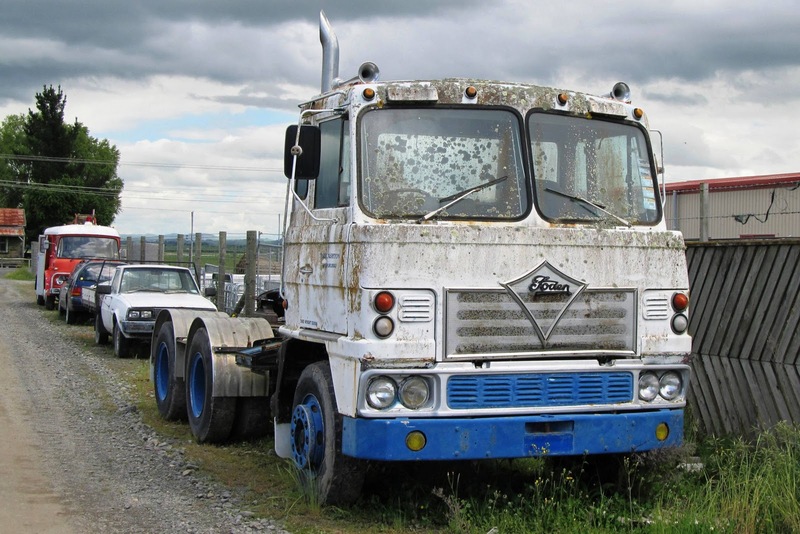 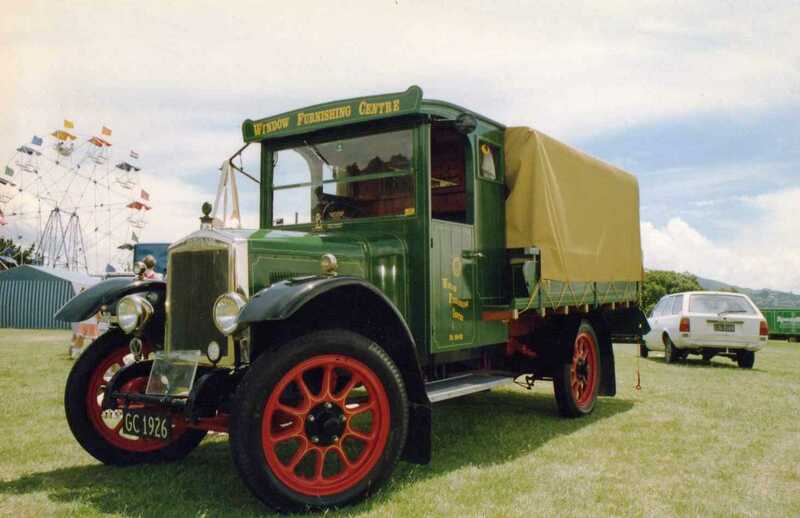 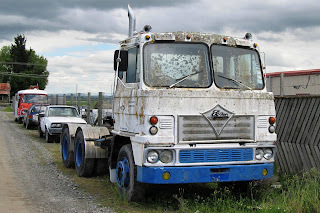 At Waipukurau this Foden looks worthy of restoration. Nearby a TM Bedford appears to be in regular use. Heading back south again out of Waipukurau there were thunder clouds ahead of me, so I turned left on to Hatuma Road and used roads east of the main road all the way back to Dannevirke. 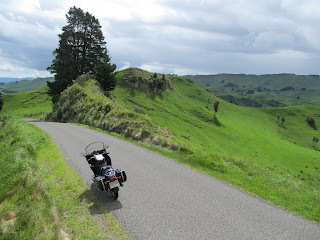 I missed the thunderstorm and sampled some brilliant motorcycling roads. Though a little narrow in places, there are many corners and "ups" and "downs"but with good surfaces and very little traffic. 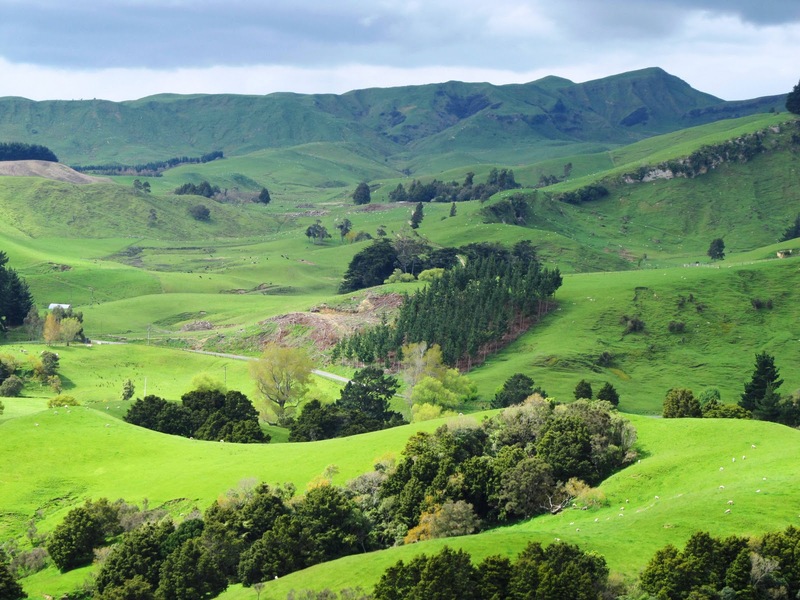 I love the lush greenness of springtime in NZ. 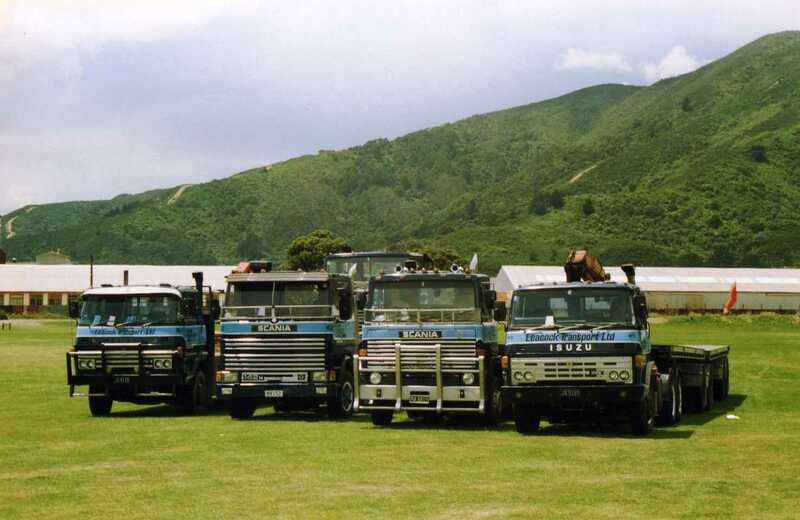 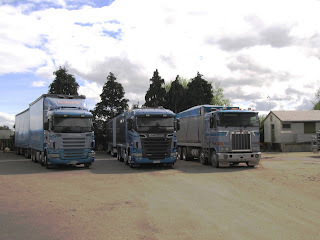 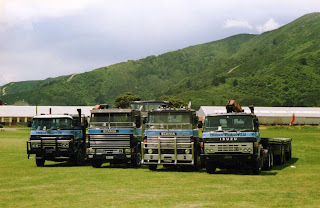 Two Scanias and a KW at Buckeridge's yard at Dannevirke. ....as well as this Kenworth. 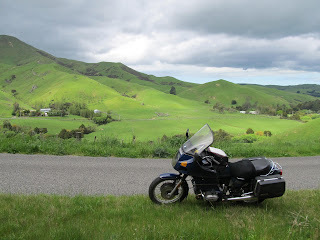 South of Dannevirke I turned off at Oringi and again avoided the main road through to Mangatainoka. At Mangatainoka this well kept Ultra-Liner is still working daily (except Sunday it seems).